A compact, one day workshop. Participants will be introduced to the principle of subdivision modeling and its generalization (combining different global and local subdivision rules). We will have an in-depth look at mesh optimization and how it can be applied for construction aware design of panelisations. 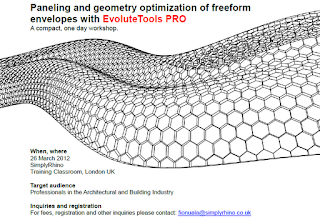 Throughout the whole workshop EvoluteTools PRO 2.0 for Rhino will be used by the attendees for hands-on examples and exercises. Participants can bring their own designs (freeform surfaces) to be panelised. EvoluteTools PRO is an advanced Rhino plug-in providing access to powerful paneling and geometry optimization tools for freeform surfaces with a user friendly interface. 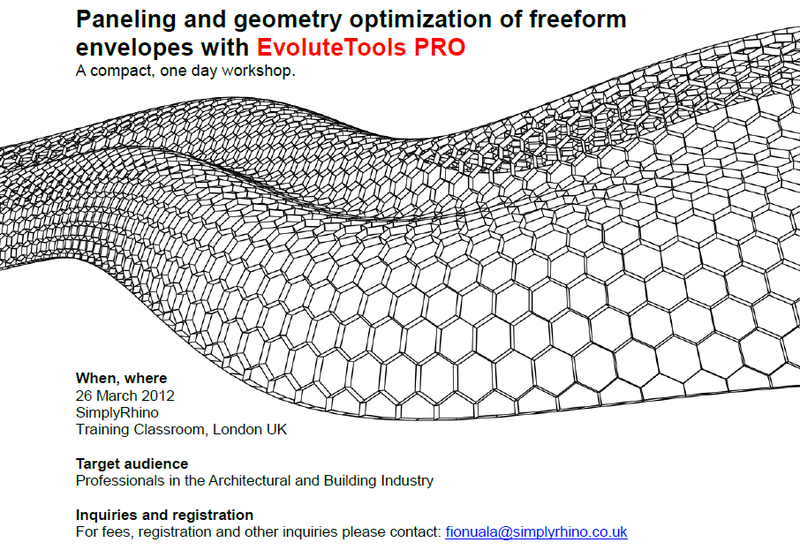 Participants will receive a 15-day evaluation license of EvoluteTools PRO to further explore its capabilities.